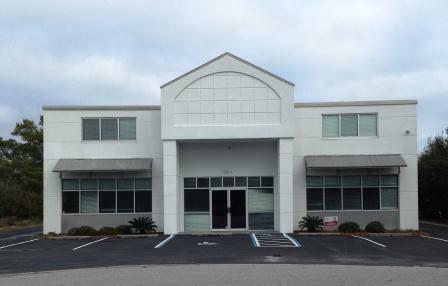 Beautiful bright open & airy 2 story office bldg w 1320 sf warehouse space w large overhead doors. 1800 sf of first floor offices, conf rm, lg cubicles, reception area, copy room, & kitchen. Kitchen w granite counters, stainless appliances (refrigerator,microwave,dishwasher), and beautiful cabinetry. Main office opens to its own conf rm & has its own restroom. 1200 sf 2nd floor offices, conf rm & storage room. Offices w custom wood desks & shelves. Plenty of storage.